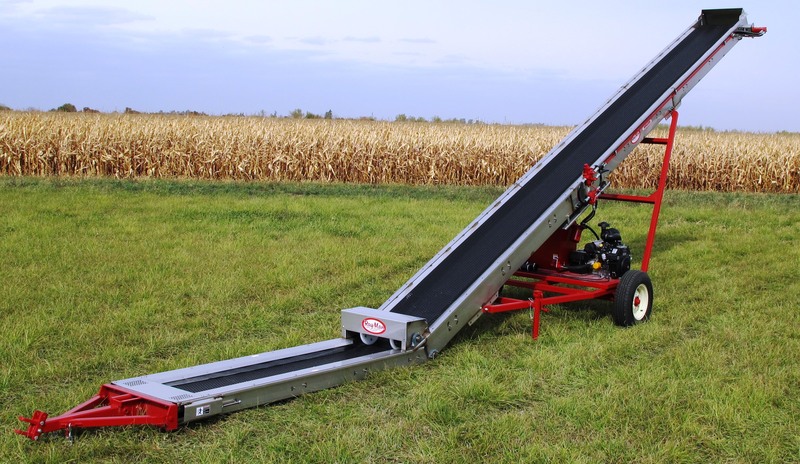 We offer 2 different types of portable conveyors to unload ag lime, fertilizer, and grain. The Floater Loader conveyor is primarily used for moving agricultural lime from a dump truck to a spreader truck. They are manufactured in two sizes (24” or 30” belt) to suit all of your loading applications. SS-429 Portable Fertilizer Belt Conveyor is a stainless steel conveyor designed to unload grain and fertilizer out of a hopper bottom trailer.